If you've ever wanted to hit the road with a rock band, here's your chance: Hollerado have announced that they're renting out bunks on their tour bus on Airbnb. The bunks will be available in early February during the power-pop band's Canadian tour with Portugal. The Man. Two bunks are available, and there are three dates to choose from — all of them in the Prairies. In a press release, the band explained that renting out their spare bunks will allow them to afford a tour bus, sparing them the stress of having to drive their van through the mountains in winter. 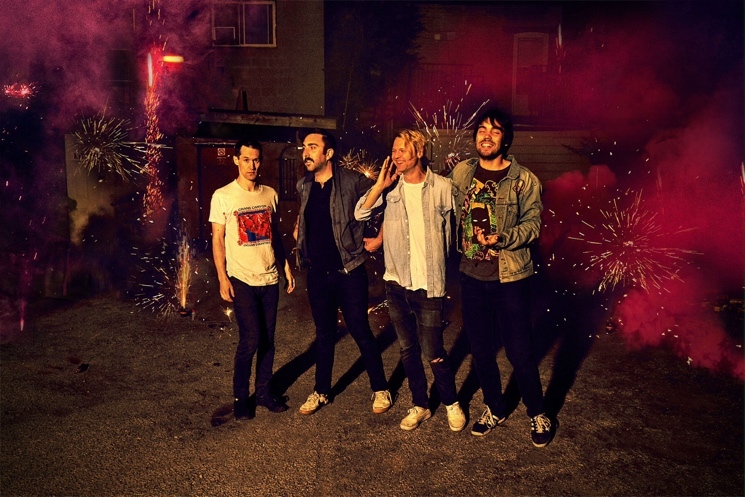 In a statement to Exclaim!, Hollerado frontman Menno Versteeg said, "Being on tour with Hollerado is like spending a month living in the dumpster behind a 24-hour Mexican restaurant but somehow every day is the best time ever and at the end you are best friends with a whole bunch of raccoons." If that sounds good to you, hurry up and reserve your bunk. Below, check out the band's full winter tour schedule. There are 11 shows in total, five of which are with Portugal. The Man. Scroll past that to see a brand new video for the Born Yesterday track "Eloise." The clip takes place at a rock show featuring young toddlers, which is appropriate given that the song was inspired by Versteeg's infant cousin.